We have many videos to illustrate our work and document our progress. Nepal aims to enlarge the opportunities of the disadvantaged communities, enhancing individual and organisational capacity throughout the country through: training, facilitation and developmental activities. 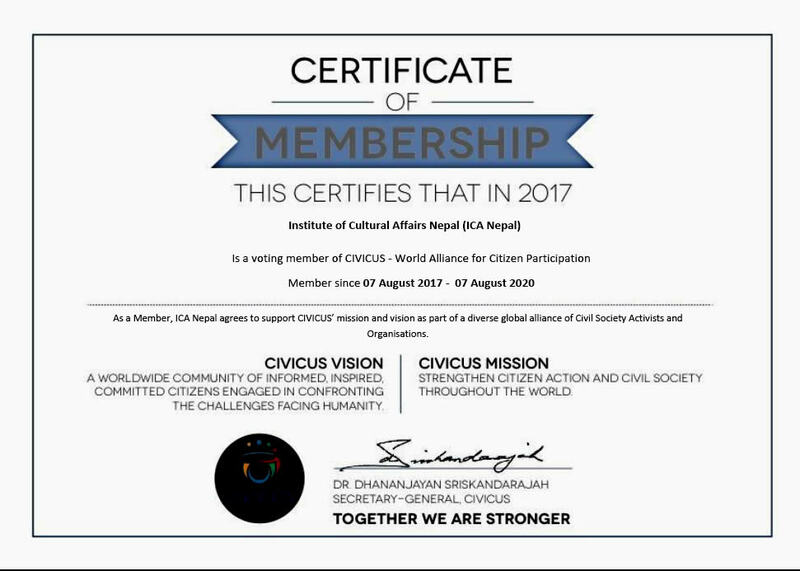 ICA Nepal's activities are guided by two major philosophies, namely Participation for Sustainable Development and Lifelong Learning. 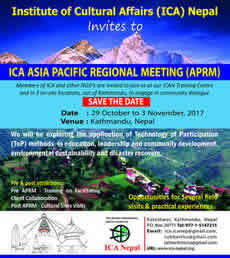 ICA Nepal believes in participation for development. Every group or individual should actively participate and should be given the chance to participate in order to build a sustainable pattern of change and development. ICA Nepal follows the ideology of lifelong learning that is pursued throughout life. It crosses sectors and cultures to promote learning beyond the traditional format and structures. We believe in developing creativity, initiative and responsiveness in people, thereby enabling them to adapt to uncertain changes, communicate across and within cultures and sub-cultures, and to negotiate conflict. Most of the activities of ICA Nepal were developed by considering the principles and focal areas of the Government of Nepal, Technology of Participation (ToP), ICA, Social Artistry Initiative, The Village Earth Model for Sustainable Village-Based Development, Rotary International and CIIVICUS. The objectives of ICA Nepal are to: Promote a culture of participation at all levels of society, encourage people and groups to participate in alleviating poverty and discrimination (in access to resources, social status etc. 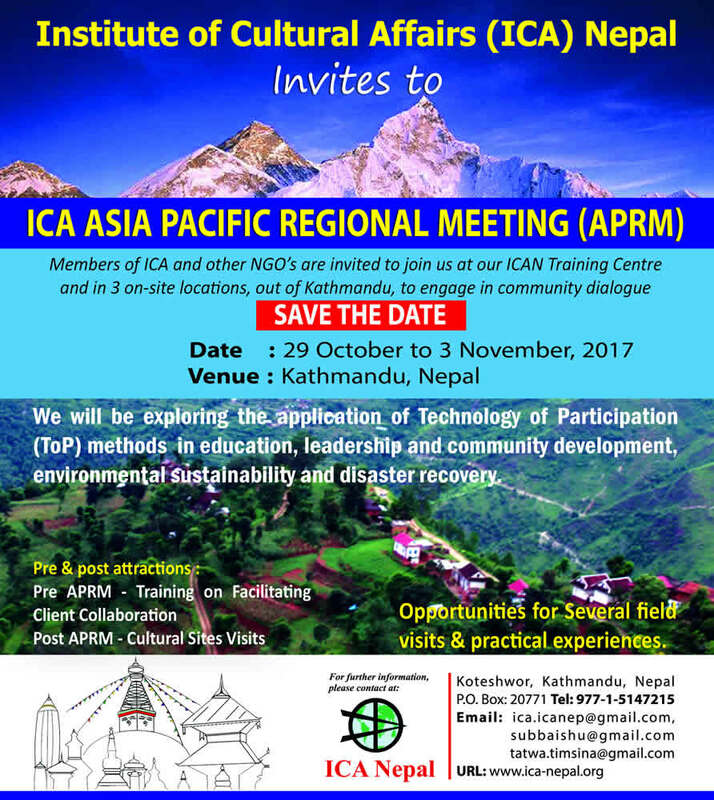 ), Introduce the experience of other world-wide ICAs into the Nepali context, and, provide facilitation skills to communities and organisations.